With warm temperatures expected this weekend, hopefully the last of the snow will melt and the gardening year can begin in earnest. Our plants are certainly ready and none more so than Sibthorp’s primrose (Primula vulgaris subsp. sibthorpii). This petite pink charmer has bloomed throughout the weather’s worst extremes and still has more to give. You’ll find several clumps growing along our rock wall, where it is self-seeding with great abandon. 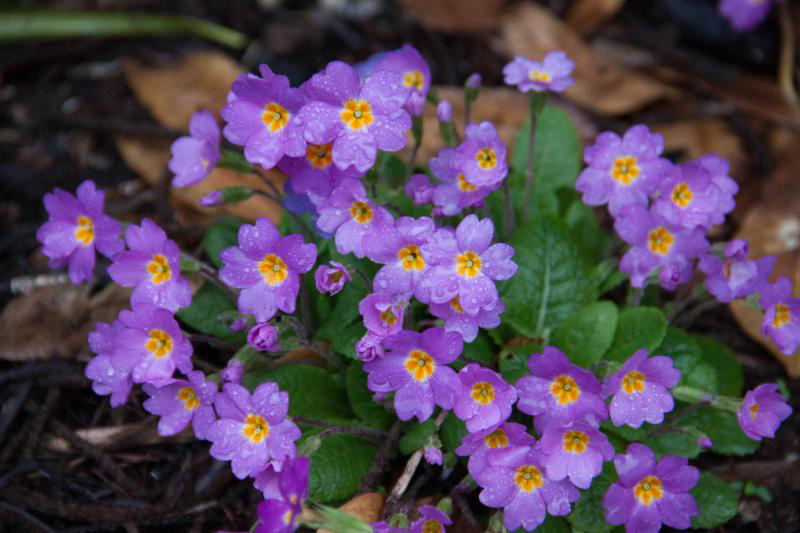 Primroses are the archetypal spring flower, indeed, the Latin name Primula derives from primus meaning first, as they are some of the first flowers to bloom. ‘Primrose’ is of similar origin, meaning ‘first rose’. 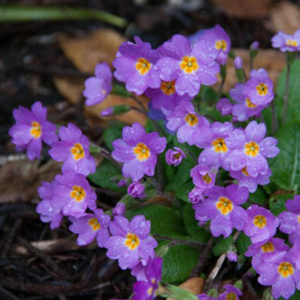 The European primrose (Primula vulgaris) is widespread across much of Europe, stretching into North Africa and the Middle East. While the typical form has pale yellow blooms, there are two distinctive subspecies: white-flowered subsp. balearica on the Mediterranean Balearic Islands and pink- to purple-flowered subsp. sibthorpii from the Balkans through to Asia. Our plants of the latter were collected by our Director Dan Hinkley in Turkey in 2000. This plucky primrose commemorates John Sibthorp (1758-1796), an English botanist who studied the flora of Greece, but then died of tuberculosis upon his return home and was unable to finish the work. Thankfully, his heirs took on the challenge and the lavishly illustrated Flora Graeca was completed – it’s now available to view online and his namesake primrose is included (Vol. 4, p. 175). Despite originating in Turkey, our plants are fully hardy and have thrived and multiplied, their delicate pink flowers enduring snow, frost and otherwise inclement conditions. This weekend, it’s not just primroses that are putting on a show. Hellebores, cyclamen and the curious fetid adder’s-tongue (Scoliopus bigelovii) are all in bloom in our woodland, not forgetting the carpet of crocus outside Garden House. And with temperatures in the 50s predicted, who knows what else will burst into flower as many other spring-bloomers are waiting to pop. Come to Heronswood this weekend and revel in your first real taste of spring 2019.